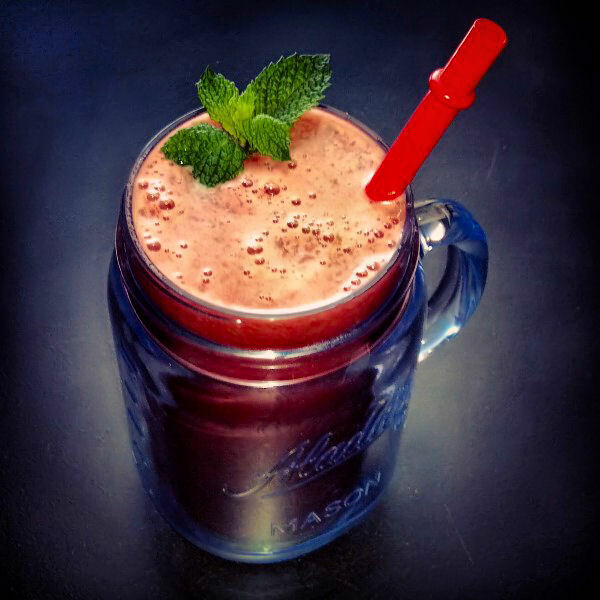 A perfect summer treat, refreshing, tropical and healthy! Not only is watermelon tasty hydrating and refreshing, but it has so many health benefits! These include vitamin b6 properties as well as vitamins A, C, E and D, lycopene (antioxidant which fights against free radicals in your body) , niacin, selenium, iron, magnesium, zinc, the list goes on and on! Juicy red watermelons also help to enhance your libido, especially in males, so I say…what are you waiting for? We should all eat more watermelon! 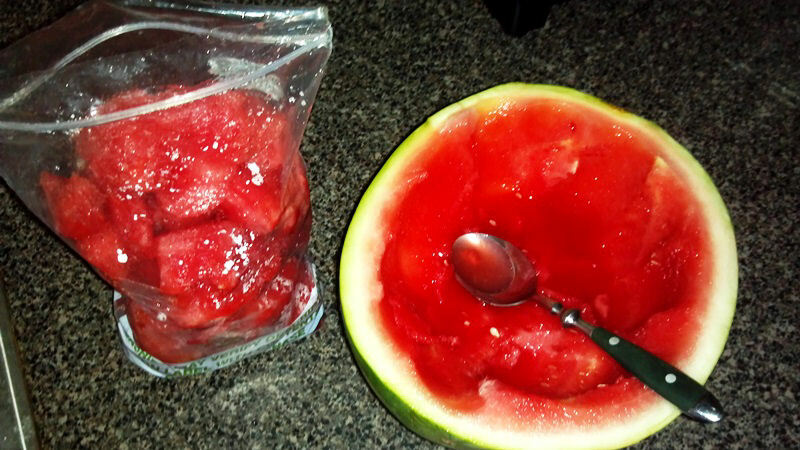 Step 2: After a couple hours, take your almost-frozen watermelon pieces, and place into your blender. Add the mint and basil on top. You can also add parsley and cilantro if you want, this gives it an extra herby flavor which is just magnificent! 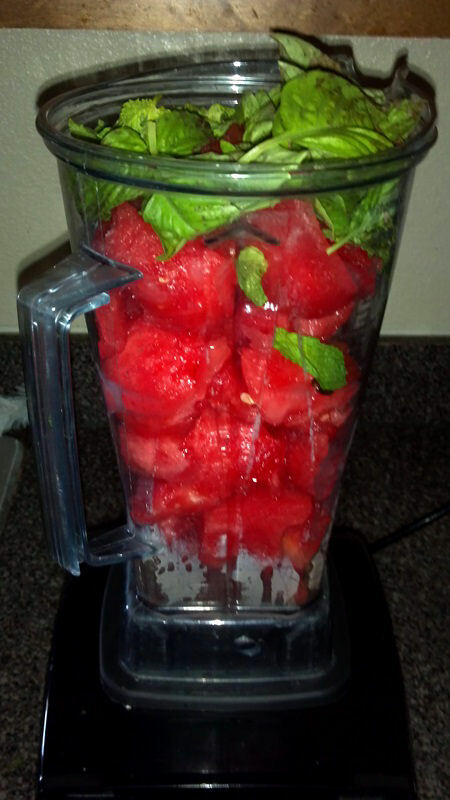 Step 3: Blend the frozen watermelon and herbs together, but don’t completely pulverize. 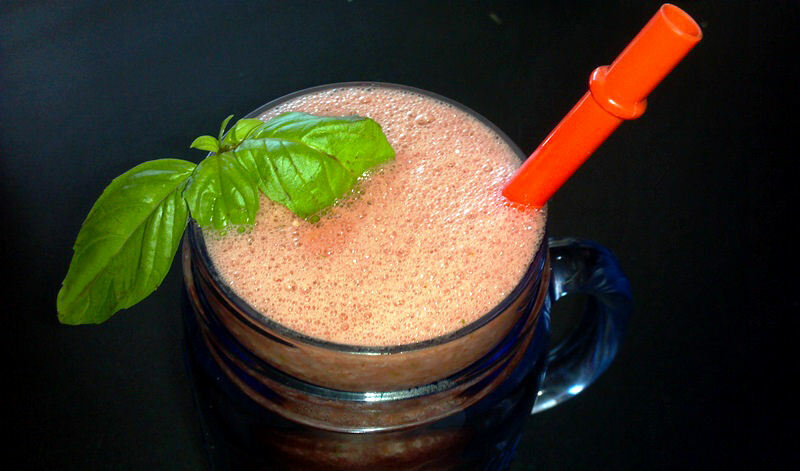 You want to retain that slushy ice flavor, as well as keep a couple mint and basil pieces intact in the mix. Pour into your glass, and drink! 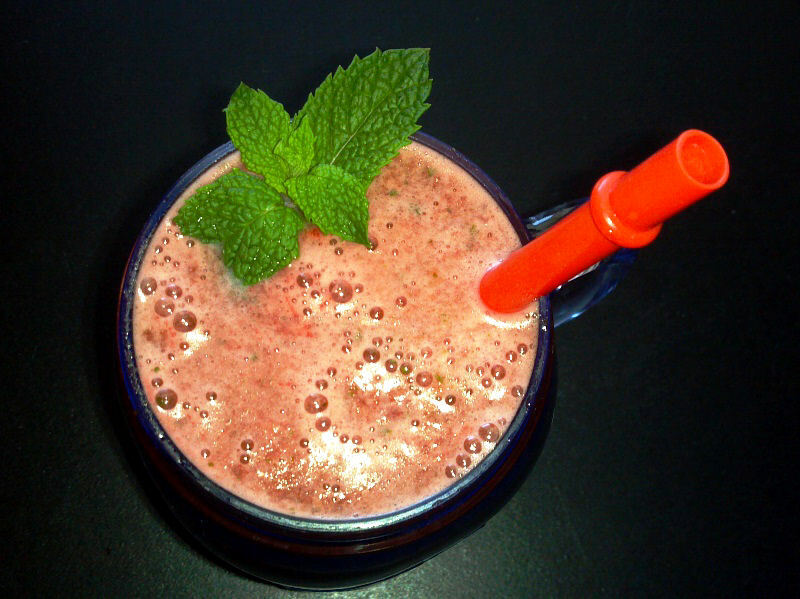 Basil mint watermelon slushy, topped with fresh mint leaves! Sooo delicious!